and the sunny Okanagan or the Cariboo Chilcotin. 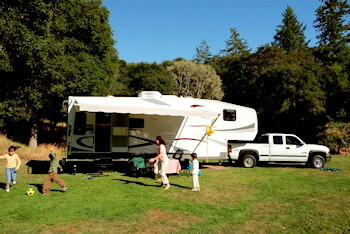 Plan ahead, select the campgrounds on your route where you plan to stay, or the dealers where RV rentals are available. Make your reservations as early as possible to make sure not to be disappointed, and so that you will have the best camping site for your motorhome or travel trailer, with the best view, the perfect location or most ideal amenities for your family. British Columbia is a big province and there is so much to see, but a trip in an RV can be a journey of new discoveries each time. 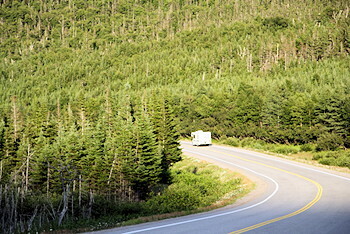 Each vacation you can plan to visit a new part of the province in your RV, and just getting there will be an adventure in itself. Pick a region to explore and start planning your next get-away. When you plan your trip you can make the whole journey a learning experience. Take a break from the driving by stopping at museums and historical sites along the way, you might even be able to time your trip so that you can see an historical re-enactment, which makes learning history a new and memorable experience for the whole family. 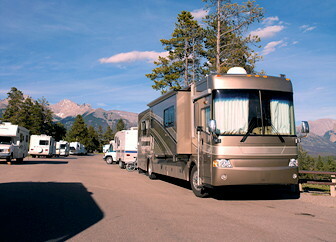 A recreational vehicle is a home on wheels and range from basic to the incredibly opulent. For the most part they all offer cooking, bathroom, sleeping and living areas and come equipped with gas, electricity, lights, heating and cooling systems. No matter what the amenities, an RV will allow you to get away more often and in greater comfort and style than ever before. We'll let you in on a little secret; RVing is about taking control of your vacations and weekends in a whole new world of freedom and relaxation. Go where you want, when you want, turn every weekend into a mini-vacation, every trip into a hassle-free escape.